What is the Fisher Equation? The Fisher equation is a concept in economics that determines the relationship between nominal and real interest rates under the effect of the inflationInflationInflation is an economic concept that refers to increases in the price level of goods over a set period of time. The cause for inflation in the short and me. 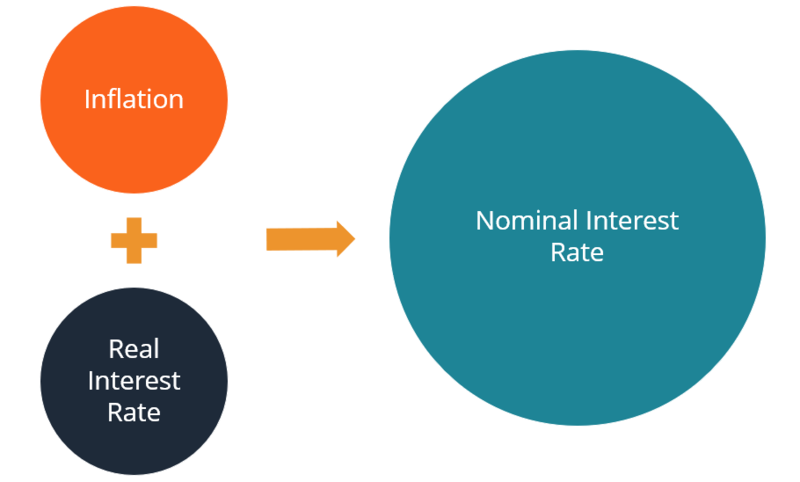 The equation states that the nominal interest rate is equal to the sum of the real interest rate and inflation. The Fisher equation describes a situation where investors or lenders ask for an additional reward to compensate for losses in purchasing power due to higher inflation. The concept is widely used in the fields of finance and economics. It is frequently used in calculating returns on investmentsReturn on Investment (ROI)Return on Investment (ROI) is a performance measure used to evaluate the returns of an investment or to compare efficiency between different investments. ROI measures the return of an investment relative to the cost of the investment. or in predicting the behavior of nominal and real interest rates. One example is when an investor wants to determine the actual (real) interest rate earned on an investment after accounting for the effect of inflation. One particular significance of the Fisher equation is related to monetary policyMonetary PolicyA monetary policy is an economic policy that manages the size and growth rate of the money supply in the economy. It is a powerful tool to regulate the. The equation reveals that the monetary policy moves the inflation and nominal interest rate together in the same direction. On the other hand, the monetary policy generally does not affect the real interest rate. American economist Irving Fisher proposed the equation. Suppose Sam owns an investment portfolio. Last year, the portfolio earned a return of 3.25%. However, last year’s inflation was around 2%. The real interest rate that Sam’s investment portfolio earned last year after accounting for the inflation effect is 1.26%.